3200 Follicular Units added to the front and top of the balding pattern 661 singles 2542 doubles 5745 hairs transplanted Propecia initiated at the time of the transplant This result is 3.5 years post-op. My Local HT doctor put on his magnifying glasses and sifted through the back of my head and said no problems there your donor area is looking good I've sent my pictures already to many of the doctors recommended on this site and not one other then Erdogan sees any miniaturization issues in the donor area ? 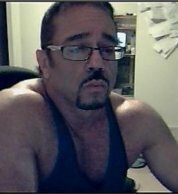 After seeing my donor pictures and video whats your opinion you have alot of HT experience here Do you think Dr. Jim Harris, Denver, CO - Dr. Robert True & Dr. Robert Dorin would turn me down ? Has anyone here been to Dr.Robert McClellan in Texas? I have been looking for more info on Dr.McClellan.I have seen some of his results and was impressed enough when I met him to sign up to have surgery on the 28th.He has done over 10,000 transplants and the past 10 years has performed well over 3000 Microscopic Follicular Unit Hair Transplants.He was also mentioned in the Hair Transplant Network.But on this forum I seen his name mentioned only once,and nothing else said. Finasteride -- Time to Switch MG/to Duta? Hey everyone, New to the forums, but I've been following for a few years. I had a consultation with Dr. Haber a few years ago, and he suggested ~2500 grafts and to start a propecia regimen basically ASAP at the time. I've done that and had great results, but I've noticed, perhaps, that it may not be as effective as it once was. I was wondering what your all's thoughts were on the matter. The pictures are basically linear from left to right. The right was before I started propecia, the middle were about a year ago, when I felt like I had really good propecia results, and the ones on the right are the most recent, where I feel like I've lost some of those gains. It could all be in my head, though... My hair is a little bit longer than I'm used to, so perhaps my short hair in the middle picture is what made it look "fuller." It doesn't look so thin when it's combed over/back like how I normally wear it, but when I comb it straight down, boy does it look thin... What do you all think? 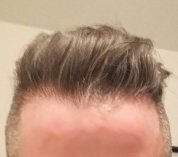 Is it 1) because my hair is longer, or 2) because the finasteride has started to lose its effect? Should I try dutasteride? Maybe 5mg finasteride? Am I freaking out over nothing? lol. Thanks for your help. I've always enjoyed reading the forums. Can't wait to finish school so I can get some freakin transplants, lol. This guys hair loss and age is similar to my experience. Nice work Dr. Haber. Thanks for sharing the results. Hello, Are there any specific horror stories about Dr. Robert Jones in Toronto, Canada? 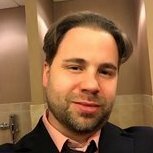 I've come across a statement calling him an FUE pioneer, but there are not many positive reviews for him on this forum. Apparently he personally does all FUE extractions, which is of interest to me. Are there any specific user experiences (preferably with photos) that l can reference? Thanks! Hi All, Bernstein Medical - Center for Hair Restoration is a state-of-the-art hair restoration facility in NYC that is dedicated to the diagnosis and treatment of hair loss using the most advanced technologies. For an introduction to the practice from Dr. Robert M. Bernstein, founder of Bernstein Medical, and Dr. Michael B. Wolfeld, watch this video http://www.youtube.com/watch?v=rXCyU8wP_WE. They discuss their role in the field of hair transplantation and what to expect when you come to our office. Hey guys. I posted a while back here on my difficulty on finding a hair transplant doctor. You can find the thread here. http://www.hairrestorationnetwork.com/eve/187898-24m-sikh-traction-alopecia-need-advice-perhaps-surgeon-recommendation.html Suffice to say, I ended up choosing Dr. Robert Jones in Oakville. I saw 6 doctors. Jeff Donovan, (representative) Canadian Scalp and Hair Assocation, Robert Jones, Aditiya Gupta, Paul Cotterill, and Chris Cole. Excusing CS&HA and Gupta, the other 3 talked up Robert Jones, assuring me he was a solid choice.I originally wanted Jeff Donovan but he ended up quitting for some reason. However, as you all know, I am a sikh and the sikh hairline is annoying to figure out. Especially at a young age. I suffered from traction alopecia. The hairline looked conservative, something many doctors would choose. However, the problem though is that the hair line he chose ended up being a 50/50 on good/strange/bad. He ended up putting some hair on my side burns, and both my parents and myself agree that it was never supposed to be there. EVER. So the title of the thread stands. Can we remove, or retransplant the grafts somewhere else, with no scarring (because having scarring on my side burns will be something so sad for me), or is there no option. PS. I had the transplant yesterday on Nov 14th 2017. Thanks to those that can help.